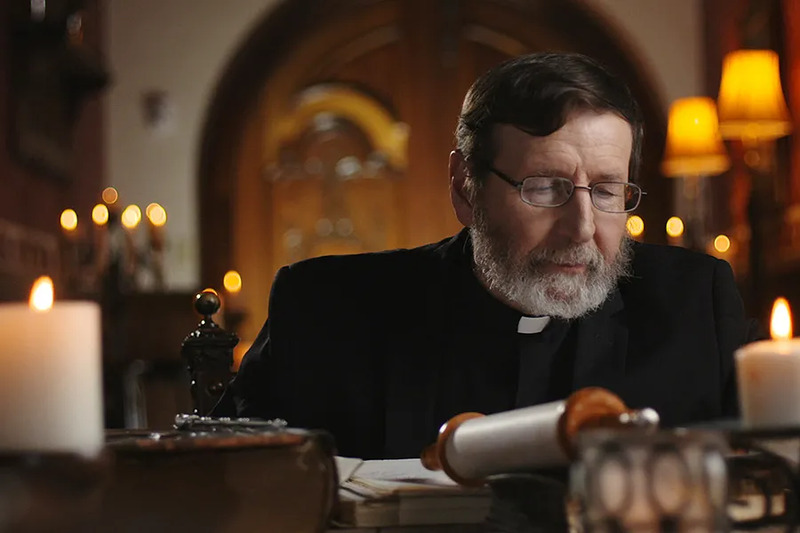 Birmingham, Ala., Feb 27, 2018 / 02:59 pm (CNA/EWTN News).- Next month, EWTN Global Catholic Network will premiere the television series “Scripture and Tradition,” a new weekly Bible study hosted by Scripture scholar Fr. Mitch Pacwa, SJ. Created in response to viewer demand, the new show will launch Tuesday, March 6 at 2 p.m. ET, with encores on Tuesdays at 10 p.m. ET and Wednesdays at 9 a.m. ET. “For over three decades, Father Mitch Pacwa has been a favorite of EWTN audiences around the globe,” said EWTN Chairman and Chief Executive Officer Michael P. Warsaw in a press release. Fr. Pacwa has authored numerous Bible studies with thematic focuses. He will kick off the new show with his book, ‘Winning the Battle Against Sin,’ which discusses Scriptural teachings on sin and forgiveness. Saying that he will take the new ministry “step by step,” Fr. Pacwa added that he also hopes to study individual books of the Bible, beginning with Isaiah and Jeremiah. Viewer questions will make up a significant part of the show, and can be submitted at www.facebook.com/groups/ewtnbiblestudy. Father Pacwa is a Jesuit priest who holds a Ph.D in Old Testament studies from Vanderbilt University, as well as a Master of Divinity and an S.T.B. 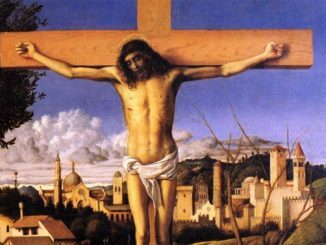 in Theology from Loyola University Chicago. He previously taught Scripture at Loyola University and the University of Dallas. He currently hosts “EWTN Live” and serves as a senior fellow at the St. Paul Institute for Biblical Studies. Washington D.C., Jul 24, 2017 / 11:59 am (CNA/EWTN News).- Catholic figures from Washington, D.C. are remembering the legacy of Fr. Arne Panula, former U.S. vicar of Opus Dei, and a beloved leader, mentor and friend of many throughout the city. 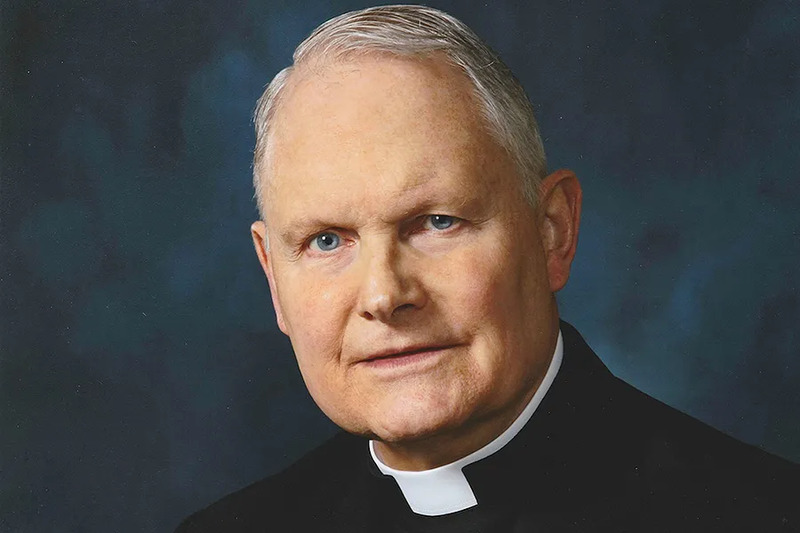 “Father Arne Panula is greatly identified with our Archdiocesan Catholic Information Center where he carried out a quiet, effective, evangelizing ministry that touched many including a large number of young professionals,” said Cardinal Donald Wuerl Washington D.C. in a statement to CNA. Cardinal Wuerl presided over Fr. Panula’s funeral Mass on Saturday, July 22 at the Cathedral of St. Matthew the Apostle. Fr. Panula passed away at his Washington, D. C. home on July 19, 2017 after a long battle with cancer. Born in Duluth, Minn., Fr. Panula graduated from Harvard University in 1967, before traveling to Rome to study Theology. While there, he lived with St. Josemaria Escriva, founder of the personal prelature Opus Dei. Fr. Panula was ordained a priest in 1973 before serving as chaplain of The Heights School in Washington, D.C. He later served as the U.S. vicar of Opus Dei from 1998-2002. Starting in 2007, Fr. Panula became the director of the Catholic Information Center in downtown Washington, D.C. The center includes a bookstore and chapel, offering Mass, adoration, confession and spiritual direction, as well as talks from Catholic speakers. Under Fr. Panula’s guidance, in 2013 the center began offering an educational fellowship, the Leonine Forum, to help young professionals learn more about the Church’s Social Teaching and service. Members of Washington D.C.’s Catholic community remembered the priest for his influence in their lives. The Embassy of Poland also mourned his death, linking to his obituary and posting a picture of Fr. Panula giving an opening blessing at an event. George Weigel, biographer of Pope John Paul II and Distinguished Senior Fellow at the Ethics and Public Policy Center, noted that Fr. Panula served as a spiritual director to many from all walks of life, many of whom had colorful and difficult journeys to the faith. Weigel, who is a frequent speaker at the Catholic Information Center, said that Fr. Panula helped turn the center into a “vibrant” source of authentic Catholic life and evangelization amid a city associated more with House of Cards than the House of the Lord. “He was a man deeply in love with the gift of the priesthood, who was, I would also say, completely unclerical. He fully understood that sanctity is not limited to the sanctuary, that everyone is called by baptism to be a saint and he helped people do that,” Weigel added. Washington D.C., Apr 3, 2017 / 05:24 pm (CNA/EWTN News).- As Pope Francis and U.S. bishops insist upon helping ex-convicts re-enter society, advocates are pointing to a litany of obstacles – over 40,000 legal regulations – for such re-entry that need to be addressed. DeRoche spoke at a “Second Chance Month” press conference at the National Press Club on March 30, joined by other advocates for criminal justice reform from organizations like the NAACP, Heritage Foundation, ACLU, and Americans for Prosperity. Prison Fellowship, an outreach to prisoners and their families, has declared April 2017 to be “Second Chance” month. A senate resolution introduced by Sens. Rob Portman (R-Ohio) and Amy Klobuchar (D-Minn.) calls for the same. 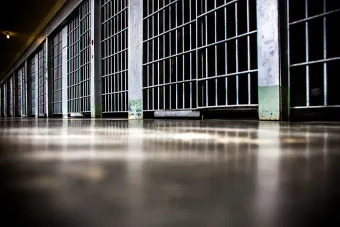 “With 95 percent of inmates set to be released one day and two-thirds of released inmates back behind bars within five years, too many Americans are caught up in a cycle of crime,” Portman said. The Pope’s visit to a Philadelphia, Pa. correctional facility in 2015 was inspiring, DeRoche admitted, and serves as an example for all Americans. “It was wonderful to see that Pope Francis went directly into a prison,” he said. “Prison Fellowship believes that every American should take the opportunity…to visit a prison,” he said at the National Press Club, emphasizing that especially “elected leaders” should visit prisons. Why are advocates pushing specifically for a “second chance” initiative? Former inmates face far too many barriers to living a normal life once they re-enter society, one former prisoner says, and such restrictions may well enhance their risks of re-entering prison. Casey Irwin, who was convicted for bank fraud and drug-related offenses, now owns a million-dollar business. Yet for a while after her time spent in multiple prisons, she struggled to find her way in society. “I can get a job, but it wasn’t going to pay me any money, and I wasn’t going to ever move up. So I think that’s a barrier for everybody,” Irwin told CNA of her efforts to find a job that would pay well and offer her career advancement opportunities. She still faces “many barriers” including in housing and employment, she said, noting that the societal stigma against someone with a criminal record is quite real when she applied for housing or for jobs after she had served her prison sentence and, in her words, paid her “debt” to society. “I sold drugs to supplement my income for my rent, because I was in a place I couldn’t afford. And she [the landlord] knew it. I knew it. But I needed a place to stay, so I’m like ‘I’ll take it,’ knowing that I couldn’t pay for it,” Irwin said. She was caught selling drugs and sentenced to prison again. Her first big break came when a friend she had worked with referred her for a management position at Kentucky Fried Chicken. She was offered to be manager of a franchise. Yet ex-convicts face tens of thousands of obstacles and restrictions – over 46,000 “collateral consequences” at the federal, state, and local level across the U.S., John Malcolm, a legal expert with the Heritage Foundation, noted at last Thursday’s event. In a report he co-authored in March on “collateral consequences,” he noted how some states have hundreds of consequences for persons with criminal records including barriers to specific careers. Employment barriers make up most of the consequences, he noted – 60 to 70 percent, according to the American Bar Association. And a dozen states “restrict voting rights even after a person has served his or her prison sentence and is no longer on probation or parole,” Udi Ofer, director of the ACLU’s Campaign for Smart Justice, noted at the event. So looking forward to this new show on The Bible and Tradition. Fr. Mitch is such a good teacher. I plan to use my DVR so I don’t miss any of the shows. Thank you EWTN! I too am looking forward to Father Mitch’s Bible Study. I also might add that I thoroughly appreciated the guest vocalist recently who sang a number from the Messiah during Mass. I have seen him in the choir since that time. I hope that EWTN has him sing such magnificent numbers more often. He is quite amazing. I’m a loyal Lutheran but have watch Mother Angelica and her channel for over 25 years. I love the fact that Father Mitch is such a significant part of the network now. Mother would be so pleased.